Sebastian Vettel has tipped new Ferrari F1 teammate Charles Leclerc to provide him with a tough challenge throughout 2019. Sebastian Vettel says his new Ferrari teammate Charles Leclerc will put him under “a lot of pressure” throughout the 2019 Formula 1 season. 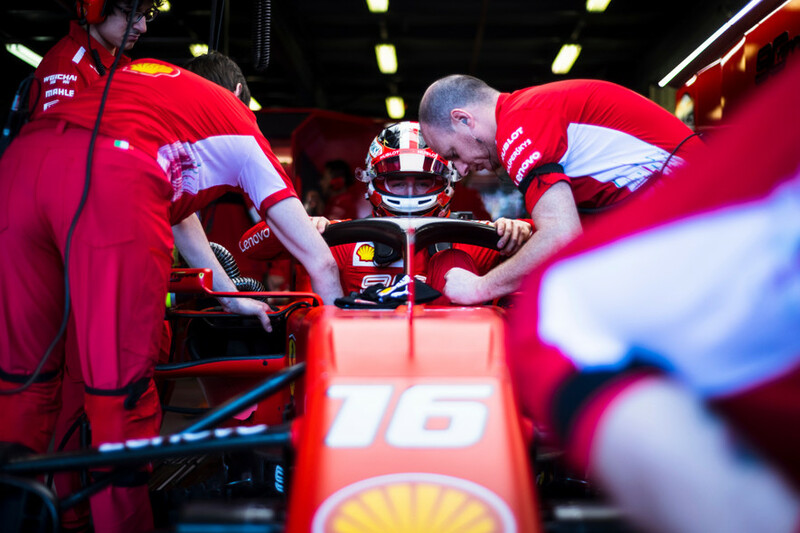 Leclerc has replaced Kimi Raikkonen as the four-time world champion’s teammate at Ferrari this year, following an impressive rookie campaign with Sauber in 2018. The 21-year-old Monegasque has been tipped for a bright future and finished in fifth place behind Vettel at the 2019 season-opening Australian Grand Prix after being told not to risk fighting over fourth place. “I think for Charles obviously it’s a dream come true, similar to me, but a different point in his career so it’s quite nice to be that young and join a big team like that,” Vettel said of Leclerc’s move to Ferrari. “I think he’s done really well from what I’ve seen so far, he will put a lot of pressure on me the whole season, I’m aware of that. I think we’ll be very close, he’s very talented. Vettel and Leclerc were both beaten to the podium by Max Verstappen’s Honda-powered Red Bull, after the Dutchman pulled off an overtake on Vettel at mid-distance. Asked if he thinks Red Bull will join the title fight against Mercedes and Ferrari in 2019, Vettel replied: "I don’t know. Obviously I don’t know if they [Red Bull] are happy with their performance here or not. “Can’t speak for other people but I think you have three big teams and I think all of these three teams have the potential to have a very, very strong year. “We’re looking at ourselves first and hopefully both of us will be ahead of everybody else. But I think we’re aware we’ll be very close. “I think Pierre [Gasly] as well got a bit unlucky as well and I don’t think he was much off the whole weekend compared to Max,” he added. “So his race was pretty much lost from the start.